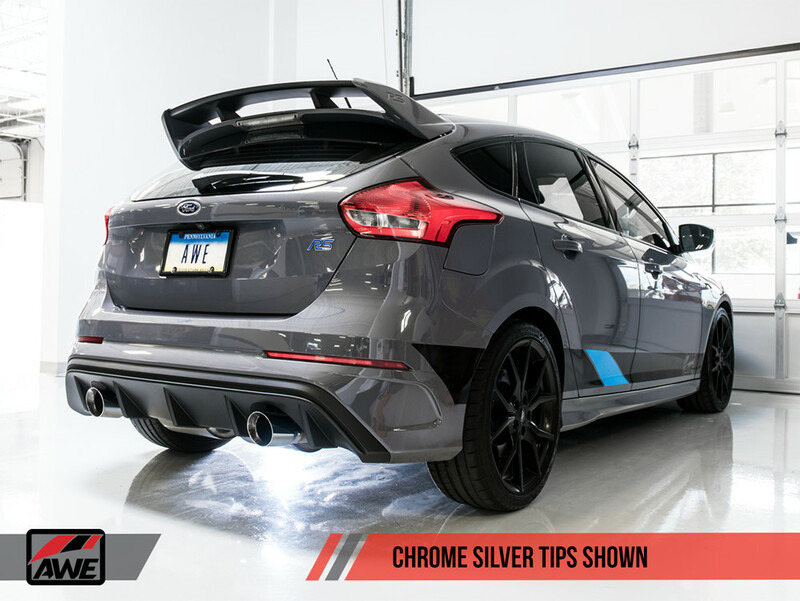 The AWE Cat-Back Exhaust is the best way to give your Focus RS the power, sound, and look that will make it the envy of your peers. The AWE exhaust is an amazing way to give your Focus RS a huge boost in power, a performance exhaust tone, and aggressive styling. 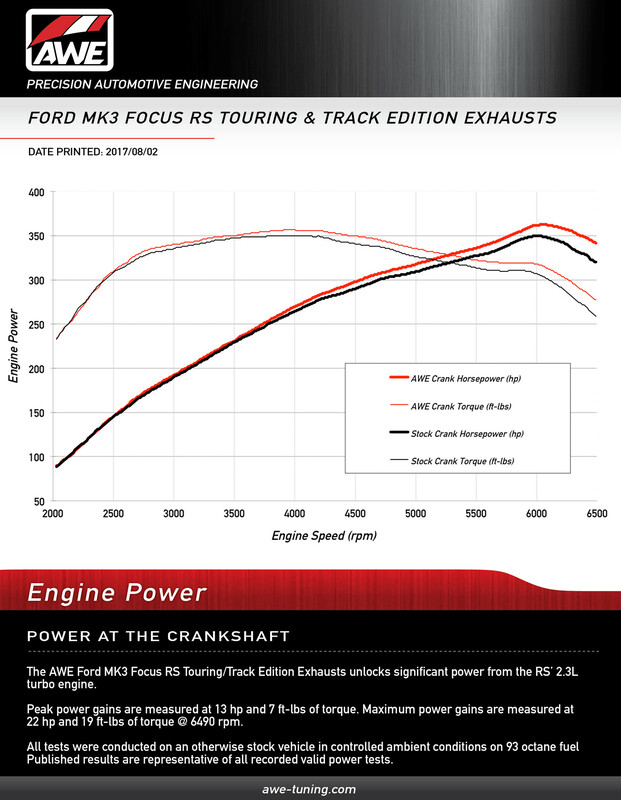 You're getting gains of up to 22hp and 19 ft-lbs of torque at the crankshaft with this exhaust compliments of AWE's mandrel bent straight through design, which is enough to give you a solid advantage over stock versions of the RS. 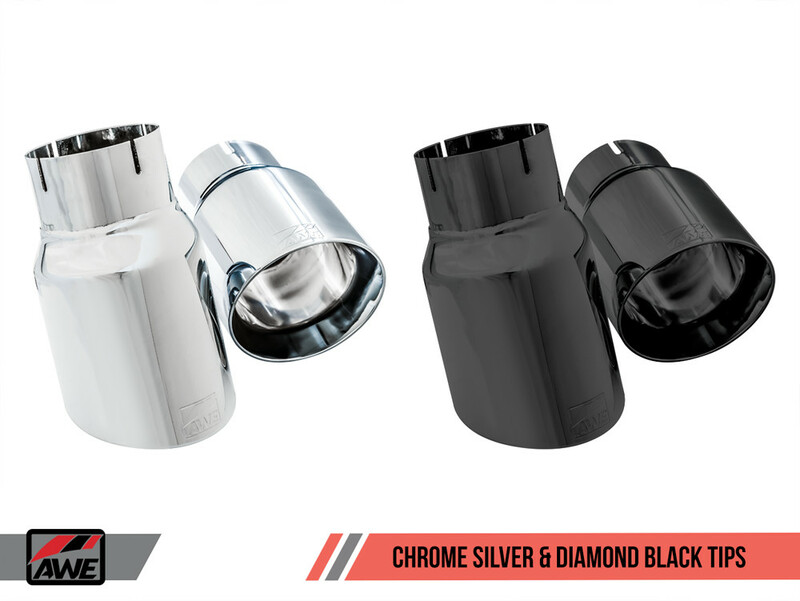 For tailoring the exhaust to meet your unique style you get a choice of two color options, Diamond Black or Chrome Silver. In terms of sound AWE gives you several options (see full list below). The Track Edition is for those who are looking for the loudest and purest sound. With this version you get a deep rumble and lots of popping and gurgling from the exhaust making it feel very race oriented. The Touring Edition is for people who want a nice exhaust tone but on the quieter side. The AWE 180 Technology in the mufflers eliminates unsavory frequencies keeping your exhaust from droning and ensuring a comfortable ride. You have the option of adding a resonator to the mid-pipe with the Touring Edition which quiets the exhaust further without affecting the tone. The SwitchPath Edition is the best choice for those who want an louder aggressive exhaust tone but not all the time. 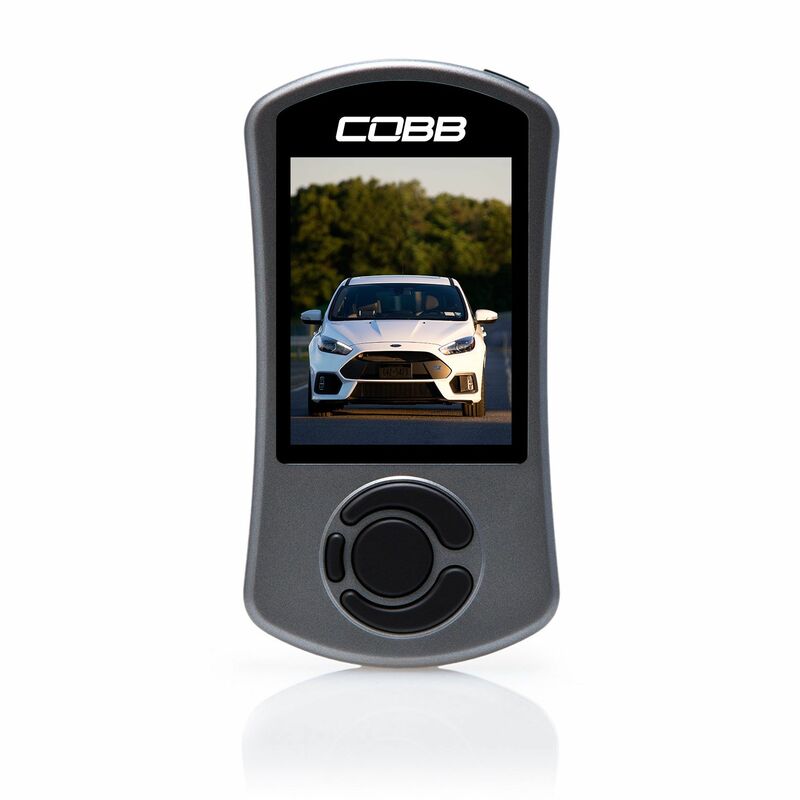 With the SwitchPath you can remotely control your exhaust tone using an electronic valve (plugs into the factory wiring if you don't want to purchase the SwitchPath Remote). This means you can close the valve and have a quiet exhaust when you want to be discreet, or you can open the valve when you want to have a little fun.